There’s a lot of really good beer out there. And with national distribution channels and big brands buying up the little guys, in many cases, these delicious beers are available pretty much anywhere. But there are plenty of small-scale brewers maintaining a true regionality to their production, meaning us New Yorkers aren’t exactly their target consumers (Shocking I know right?). But that’s why it’s good to have friends who grew up in different areas of the country so that when they head home, they bring you back beers like SweetWater’s. The story behind this Atlanta-based brewery is the inspiration that most beer lovers dream of. Two college roommates in Boulder, Colorado fall in love with brewing, head off to brewing school, and settle in Atlanta to launch their very own brewery. 16 years later, these guys are producing some of the areas best beer (so say’s Adam) and after a taste of their IPA I’m 100% sold. The quality and flavors of this IPA are really extraordinary. We’ve been trained to expect a hop bomb every time we pick up an IPA but as with anything, balance is key. The hop forward IPAs that forget about the overall drinking experience always fall flat, and the brewers at SweetWater must feel the same way. Crisp, hoppy, and really enjoyable to drink, their IPA is one of the best I’ve ever tasted. 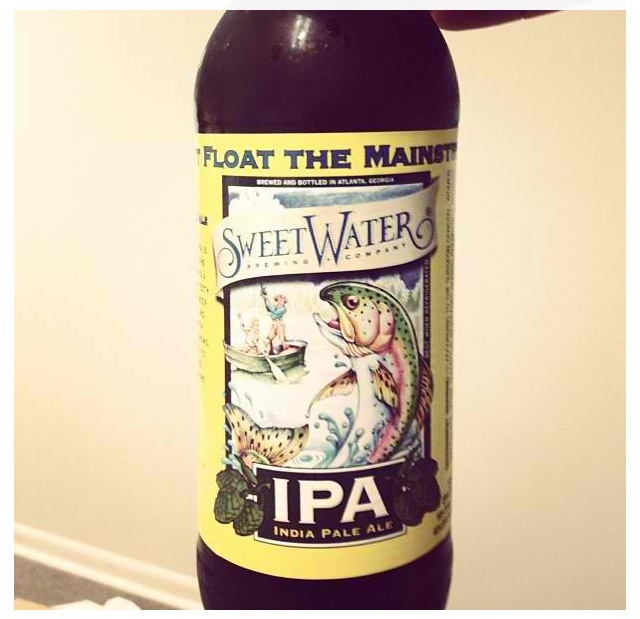 Sweet Water 420 is a great American pale ale, Sweet Water is a great brewery. Apparently the reason they ended up in Atlanta is that they looked around the country and Atlanta area was the largest market that didn’t have a good craft brewery at the time. I’m going to have to have Adam smuggle me some more back. You haven’t seen the stuff near us have you?